The 14th of April 2019, the Paulines of Johannesburg had a conference in their hall on the Message of the Pope for WCD 2019.. In his 2019 message for the World Day of Social Communications (dated 24 January 2019), Pope Francis is to a large degree optimistic with regard to the contribution which internet can make in the Church and in society at large: “Ever since the internet first became available, the Church has always sought to promote its use in the service of the encounter between persons and of solidarity among all”. This lecture will present a critical reflection on this claim by looking at the development within the Catholic Church with regard to the internet and its suitability to function as a means for evangelization. 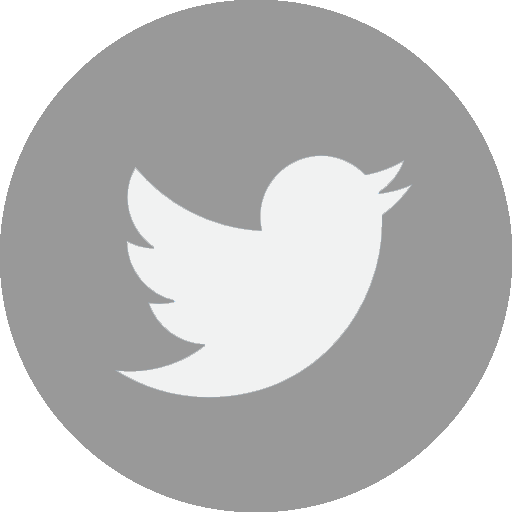 As a result of this reflection, the question will be raised if Jesus today would be an evangelist and employ so-called social media, and if so, to what degree we are invited and challenged to follow Him also on that trail. Professor Jan Jans, STD, studied moral theology at the Catholic University of Leuven (Belgium) and is currently associate professor of Ethics at Tilburg School of Humanities and Digital Sciences (The Netherland). 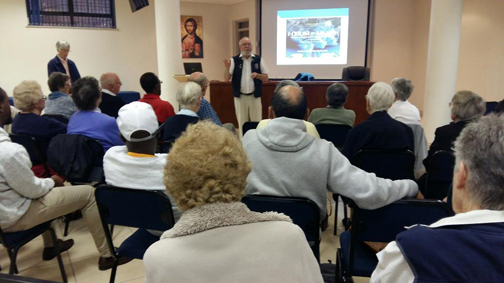 Since 2001, prof. Jan Jans has been visiting professor at St. Augustine College of South Africa. 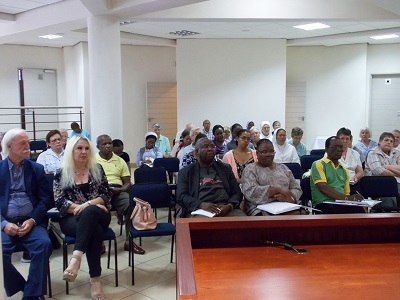 The 14th of April 2018, the Paulines of Johannesburg had a conference in their hall in order to see a practical question raised after the two recent Synods on the Family and especially after Amoris Laetitia issued by pope Francis in March 2016, is if and maybe how the teaching of the Catholic Church on responsible parenthood has changed. In dealing with this question, an important step is to inquire into what knowledge and understanding is around in the Catholic community regarding the teachings on responsible parenthood, with a focus on the 1968 encyclical Humanae vitae tradendae (The transmission of human life) issued by pope Paul VI, now 50 years ago. In order to understand Amoris Laetitia on this, the lecture will proceed in three parts. The first part will briefly offer an historical background, the second looks into key notions of the argumentation proposed by Humanae vitae tradendae and the final part will try to answer the practical question mentioned above which is buzzing around in pastoral but also in theological academic areas. The conference was offered by Prof Jan Jans, STD, Associate Professor of Ethics at Tilburg University, the Netherlands. To celebrate the release of the new document of the Congregation for Institutes of Consecrated Life and Societies of Apostolic Life, entitled New Wine in New Wineskins: The Consecrated Life and Its Ongoing Challenges since Vatican II, the FSPs of Johannesburg organized an encounter guided by Sr. Judith Coyle, head of the Faculty of Theology at St. Augustine University. Sr. Judith presented the new document with great competence, sketching out what religious institutes have accomplished from Vatican II up to today in various spheres of the consecrated life. Her conference touched on the community as a formative environment, the culture of ongoing formation, an evaluation of the experience of community life, human relations, the service of authority as an exercise of discernment, and poverty as a genuine communion of goods. As she said, now it is time for the religious life to gather the fruits of its efforts to put new wine in new wineskins. 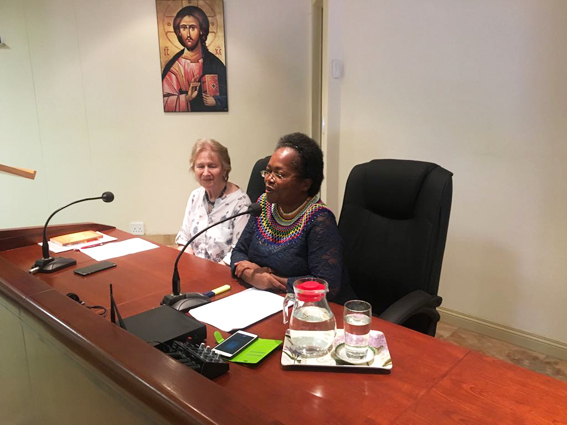 To open the Lenten season, which this year coincided with Valentine’s Day, the Daughters of St. Paul of Johannesburg organized a meeting entitled: Lent Begins on Valentine’s Day: A Call to Radical Love in Troubling Situations of Hate. The encounter was guided by Nontando Hedebe, a South African theologian, who with great skill presented Lent as a call to radical love. Taking the troubling current situation as his point of departure, he said that as Christians we must ask ourselves: Where are we in this pyramid of hatred and violence? How do we react to this spiral of discrimination and corruption? Do we consider it normal or are we striving to go beyond it in order to restore genuine love to its proper place?